The 2019 Canterbury University Film Festival (CUFF) will be held this weekend 23 and 24 March 2019. 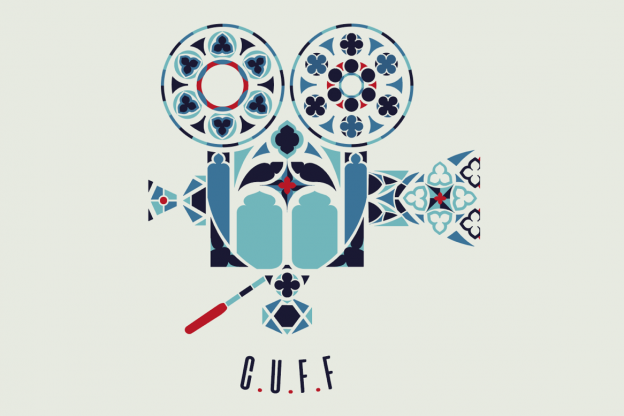 CUFF is an independent festival that provides an opportunity for the students from all three universities in Canterbury – the University of Kent, Canterbury Christchurch University and the University of the Creative Arts – to come together through their love of filmmaking. The festival will see a series of short films screened at the Curzon Cinema in Canterbury on the Sunday. Students and alumni from the Department of Film in the School of Arts who are featuring in this year’s selection include Harry Nott, who graduated with an MA in Film with Practice in 2017; Bruce Parleton, who graduated with an MA in Film with Practice in 2018; Alexander Vanegus Sus, Nimasu Namsaren and Lorenzo Gianni, who are currently studying for the BA (Hons) in Film; Henry Davies, who graduated with his BA (Hons) in Film in 2015; and Daisy Reece who graduated with her BA (Hons) in Film with a Year Abroad in 2017. On Saturday, there will be a panel discussing the process of developing from student to professional filmmaker at Waterstones Rose Lane in Canterbury at 6pm. Furthermore, on the Sunday evening, there will be panel discussion following the 7pm showing of If Beale Street Could Talk at the Gulbenkian on campus. This entry was posted in Campus online, Events, Student Guide on 22 March 2019 by Tim Davies.